This Cage Trailer has a flat tray size of 4.1 x 2.07m. 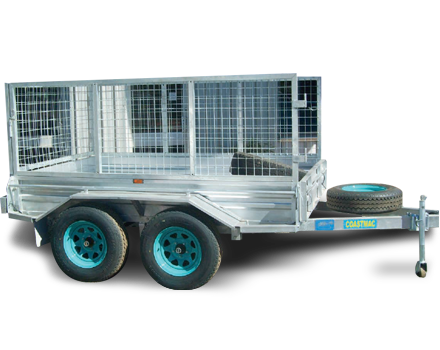 Fully equipped with side enclosed galvanised removable drop sides, override brakes, spare wheel and LED lights. Accessories: Galvanised, Removable Drop Sides, Override Trailer Brakes, Spare Wheel, LED Lights.